FIT for Giant Panda monitoring! 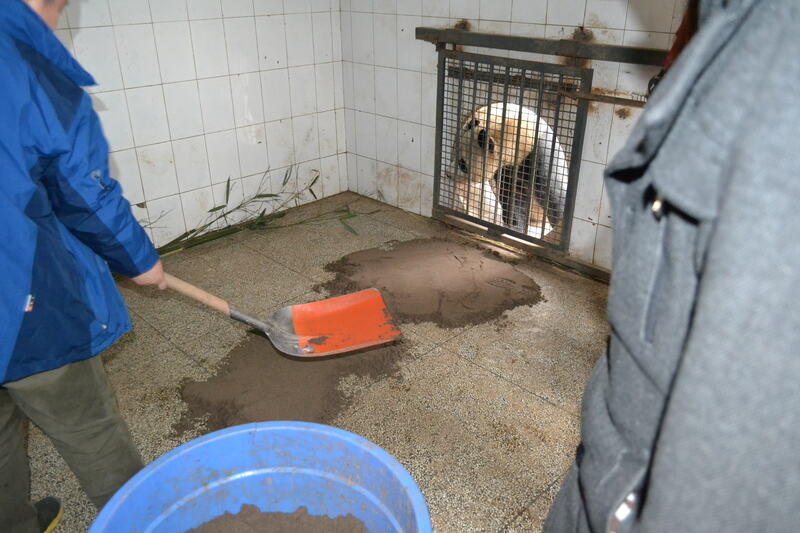 How captive giant pandas are helping their wild counterparts. 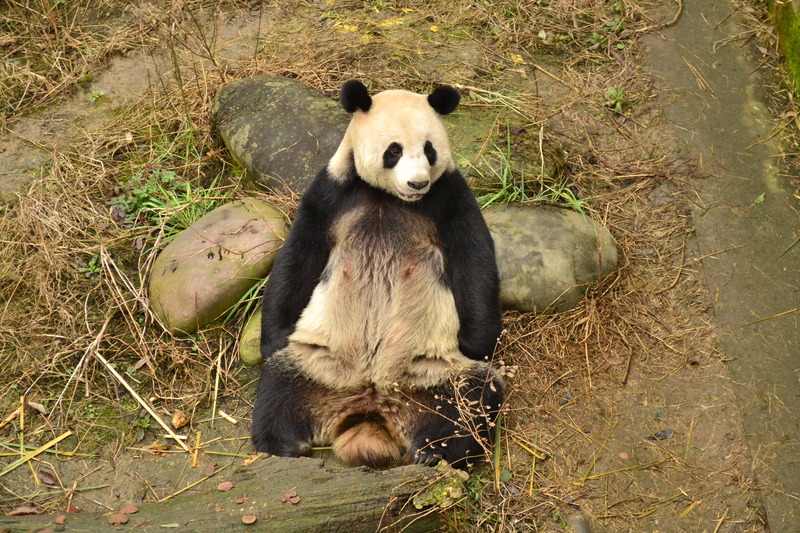 Our super-effiicient Chinese colleagues have already started collecting panda footprints from the Ya’an centre near Chengdu. These will form the foundation of the training dataset, from which we will develop the FIT algorithm that will help monitor pandas in the wild. 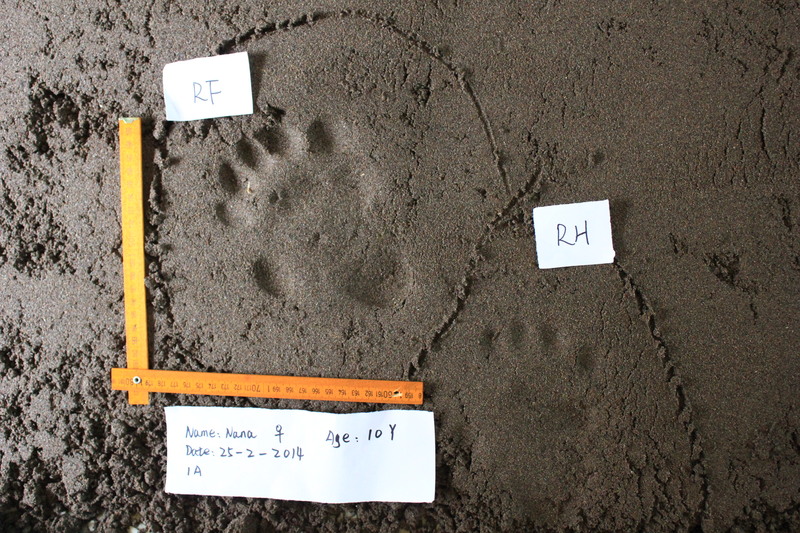 The first step….was to demonstrate how to collect prints from the captive animals. Lay down some builder’s sand on a flat surface. The panda is outside, checking the process to make sure the sand depth is just comfortable, and offering advice. After he’s walked across, lured by bamboo shoots, we go in to examine the prints. This is where the fun begins. A lot of discussion. Which foot is which? Is that a riight hind on top of a left hind, or could it be the other way round? Where’s the extra thumb? How come this animal’s prints are so much easier to see than the last one? Every animal has a different gait, so different signatures are common. With a little help in translation from our wonderful Duke PhD student Binbin, the local Chinese research team is up and running…taking their own images. There’s one more challenge. We want to be able to monitor free-ranging pandas in snow (where the footprints are most visible) but the training sets have to be collected on sand. When it snows at the captive breeding centre the staff will take some prints in snow to allow us to calibrate. And what did the panda think of this new experience? Producing footprints is an exhausting business…….